Ayana Sadler is a graduate student who studies technical communication and an intern at Being Patient. Her mother is the primary caregiver for her grandmother who is living with dementia. During a summer family gathering in 2016, we noticed that my grandmother was becoming increasingly forgetful. Shortly after taking my grandmother to a routine checkup, we learned the devastating news: Sadly, my grandmother’s cancer had returned, and my family was surprised to learn that she had been diagnosed with dementia as well. My grandmother was the first in our family to ever suffer from the disease. I had just graduated from college and my nearly one-year-old brother was celebrating his first New Year. During this transitional period, my mother wondered, “When am I going to get a break?” In addition to mother, new mother, wife and coworker, caregiver was added to the many roles she had to juggle. 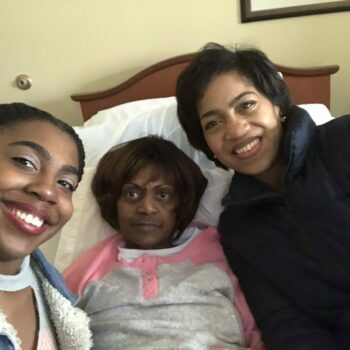 As my grandmother’s health has rapidly declined over the years, my mother has taken on a series of new tasks: researching cancer and dementia, finding in-home care and commuting two hours each week, with the help of our family, to visit my grandmother and take her to chemotherapy. Our weekly chats have become therapy sessions as she navigates finding a balance between being a mother, working full time and caring for my grandmother. My grandmother’s diagnosis was my mother’s first experience with dementia. “I didn’t really know anything about dementia at first,” she said. Recently, my grandmother has been having issues with her balance. This Thanksgiving, my grandmother fell, couldn’t walk and had to be admitted to a rehab facility. While recovering at the center, she fell again, leading to another hospital visit. Throughout the month of November, my mother drove the two hours to the care center directly from work to help care for my grandmother during this critical time. 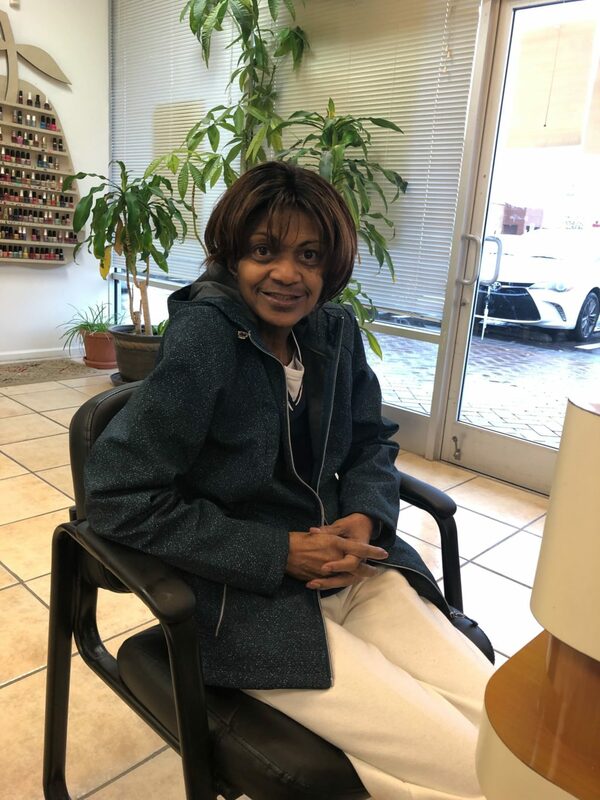 In addition to these physical changes, my mother’s biggest challenge has been remembering my grandmother before her diagnosis and seeing how her personality and character have changed as a result of the disease. “It’s stressful not knowing what she is thinking. Trying to understand her mentality can be discouraging,” she said. 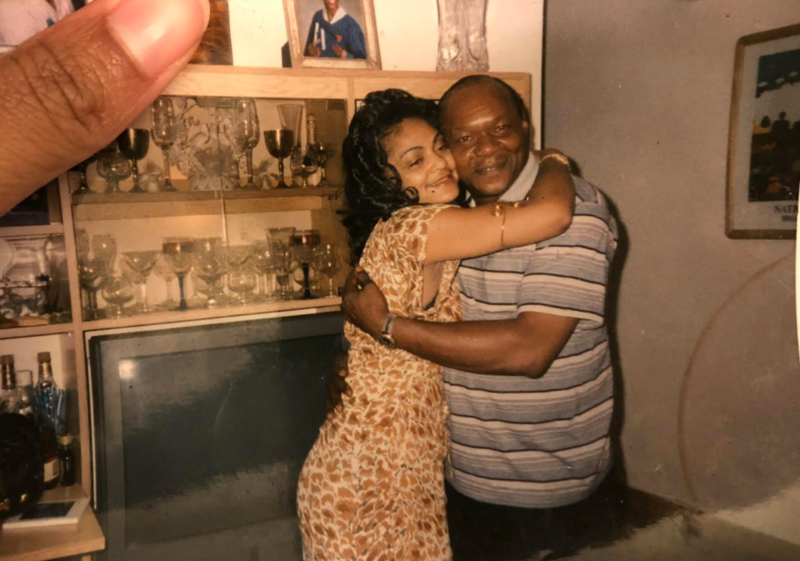 Distance makes these concerns even stronger; when my grandmother doesn’t answer the phone, my mother spends the long drive to go see her with a pit in her stomach until she arrives knowing my grandmother is okay. While “me time” is often a foreign concept to caregivers, my mother shared advice on how she tries to avoid feeling overwhelmed. “I have separated each chapter in my life into different categories. I have to focus on each one individually because if I compile them all together it gets so overwhelming,” she said. “For the mother [role], I have to focus on my son and daughter. For the wife, I have to focus on my husband and us as a team. As an employee, I have to focus on work. Then for myself, I try to take some time out to rejuvenate—which I often fall short on,” she added. Like my mother, many caregivers cope with stress on a daily basis. A 2017 survey found that nearly half of unpaid U.S. caregivers suffer from feelings of depression, weight fluctuation or other health complications and that nearly 57 percent experience sleep trouble. While having a loved one with dementia may take a huge toll on caregivers’ health, compartmentalizing each role, like my mother does, may help caregivers alleviate some of their stress. “It’s OK to take time to remove yourself from [the caregiving] environment and clear your mind,” my mother said. “This is a process that I am still learning myself. But I put a huge emphasis on taking ‘me time.’” My mother goes to a therapist each week to relieve some of her stress. Her therapist recommended that she go to see a movie, go on a mini vacation, read, listen to music, go for a walk outside or even take herself on a lunch date. As I watch my mother care for my grandmother, I keep her words in mind: “You are just as important as the person you care for.” Seeing how much love my mother has for my grandmother and the sacrifices she has made has taught me about the importance of caregiving. It is easy to get caught up in the individual who is affected by the disease and forget about the people supporting them during this process. I encourage caregivers to remember that you matter. You are doing a lot to ensure that your loved one remains safe and healthy. “It’s not easy, but I know that it will pay off in the long run. I love my mother and I only want the best for her and my family,” my mother said.